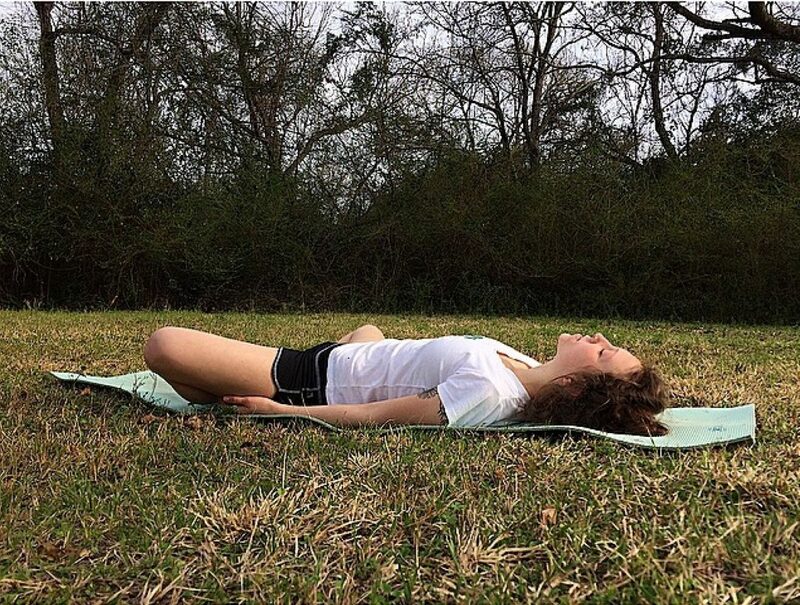 Suptabaddhakonasana or Reclined Cobblers Pose may seem inert, but it is in fact an extremely powerful pose. Allowing you to truly connect with your Heart Chakra and bring out that great energy that is within yourself. 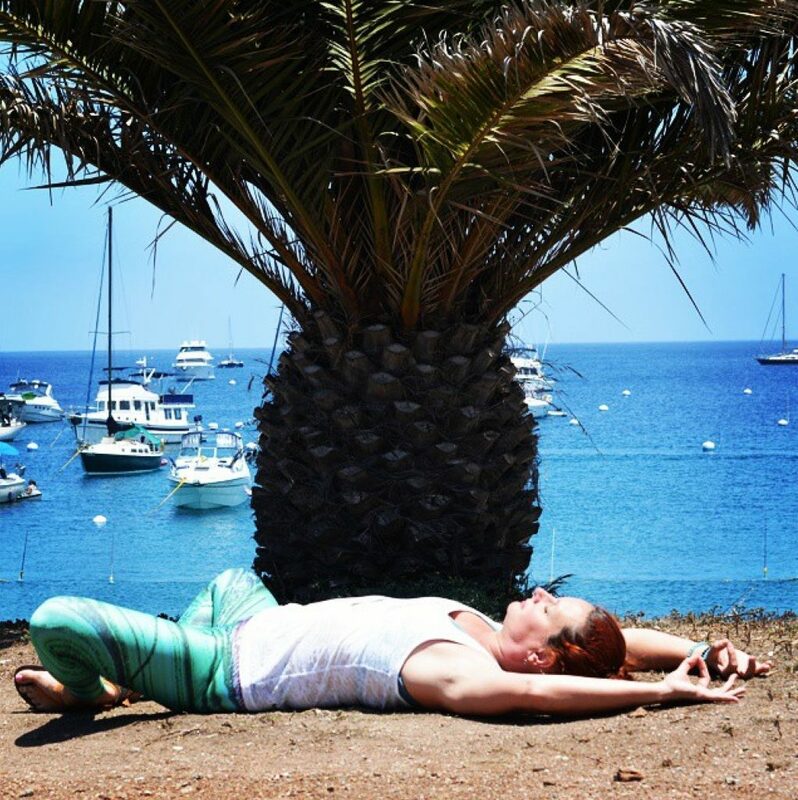 Come alive with Reclined Cobblers Pose, also known as Reclined Bound Angle Pose, and balance your Heart Chakra. Reclined Cobblers is a peaceful and reflective pose. It allows you to relax in the moment, reflect on your present, and embrace what is to come. When dealing with a difficult situation it is the perfect pose to stop the mind from racing and accept the present as is. It brings a sense of calm, and when done outdoors reconnects you to nature and replenishes your energy reserves. Adding in Gyan Mudra helps to better connect with your heart centre, and balance your Heart Chakra. Gyan Mudra is like an OK sign. Bring your index finger and thumb together create a cup in the palm of your hand. resting your hand on your knee palm upward, take in a deep breath and feel the energy of Gyan Mudra and your Heart Chakra. Variations include putting your hands in Gyan Mudra on your thigh or above your head. Gracie from @YogaKarmaGrace tells us that, “This powerful Mudra is also known as the seal of knowledge. The thumb represents fire and divine nature, and the index finger represents air and individual human consciousness. When the two fingers are placed together in Gyan Mudra, it is meant to symbolize and encourage wisdom, and expanded consciousness. 1) Lie supine on the floor, bend knees and place your feet together flat on the ground, tucked close to your bottom. 2) On an exhale, contract your abdominal muscles and move your tailbone under and towards your pubic bone. 3) Feel how the pelvic tilt has lengthened your lower back and stabilizes your spine. 4) With the next exhale, slowly allow your knees to naturally open and float towards the ground creating a stretch across the inner thighs. 5) Place the soles of your feet together as the outer edge of feet rest on the ground. Place your hands on your knees in Gyan Mudra. 6) Resist any desire to force your knees toward the floor. Instead, allow your knees to float and set your focus on relaxing your groin deep into your pelvis. 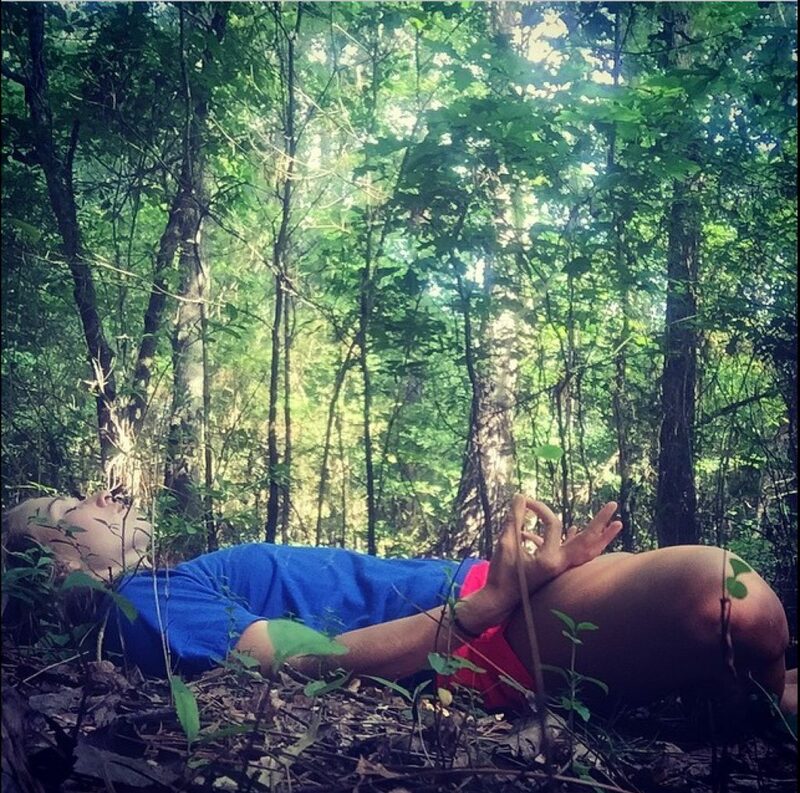 7) Hold the pose unsupported for 30 seconds to 1 minute breathing slowly and fully into the belly. 8) You can use pillows and cushions to support your pose. If supported hold the pose for 2 to 5 minutes. 9) To exit, exhale and contract your abdominals. Gently press your lower back into the floor as you hold onto the outside of the thighs with your hands. 10) Hug your knees to your chest and rock side to side. Give yourself some love. A variation from Gyan Mudra, you can use Lotus Mudra by bringing hands to the heart centre, palms together, fingers spread apart. Love your mag. Great info. I haven’t see the explanation for Gyan Mudra before, glad I found it here. Thank you.